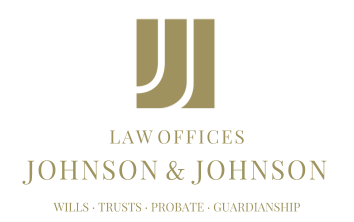 At Johnson & Johnson Law Offices, we provide more than 70 years of combined experience assisting Nevada families pass their assets to future generations. Our longevity in Las Vegas has earned the trust of clients, as has our skill and effectiveness in providing estate planning and probate solutions. We have been selected as a Martindale-Hubbell Preeminent law firm, with an AV* Martindale-Hubbell rating. As a family firm, we take individual and personalized care of each client. You can be assured that you will work directly with an attorney rather than being passed around between paralegals. We provide one-on-one attention at every step of the process, instilling confidence that you are being taken care of thoroughly.